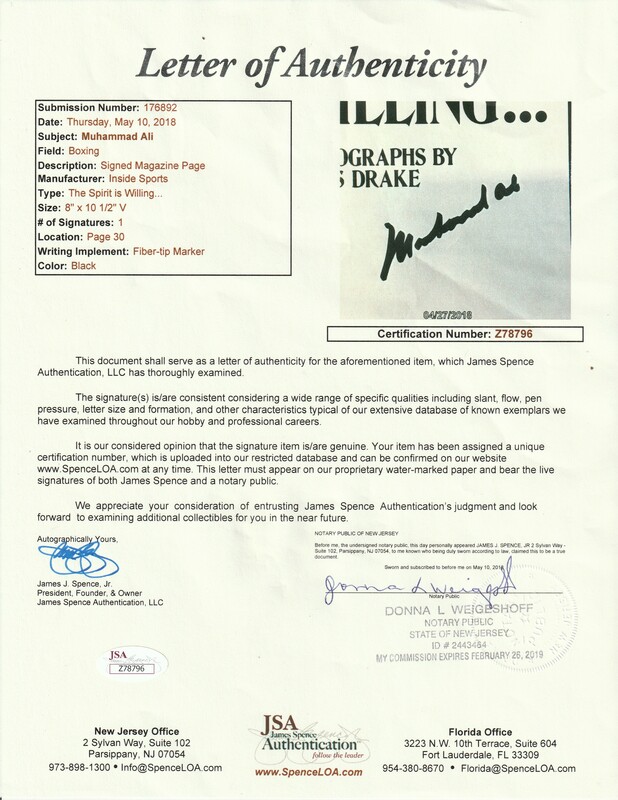 Presented here is a page from Inside Sports magazine signed by Muhammad Ali. 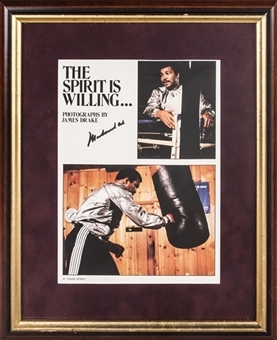 The page is the first from an article called “The Spirit Is Willing”, featuring photographs from noted sports photographer James Drake. Two photographs of Ali are present on the magazine page, including one of Ali attacking a heavy bag and a second of Ali lounging against a blue rope and sporting an eye-catching mustache. Ali has signed this magazine page in black marker. 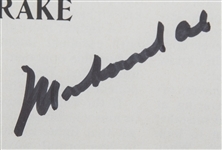 This item comes in a 13 x 17-inch framed display and is accompanied by a LOA from JSA (Z78796).